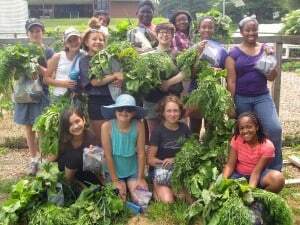 When we speak about the wellness benefits of our partnership with City Schoolyard Garden, do we mean nutrition, exercise, or the mental health benefits of getting students’ hands in the dirt? All of the above, and much, much more. Our nutrition program has won awards for its commitment to healthy foods, but there’s always room for improvement. Our new “Local on the Line” program offers local foods (such as strawberries or salad greens) in monthly menu items. All schools offer physical education, and students in grades pre-K through grade 6 enjoy recess daily. Our goals for students in grades K-10 are to allow 200 minutes of physical activity per week through gym, recess, and classroom activities, a goal that is well beyond the state’s guidelines. We partner with organizations such as Charlottesville Parks and Recreation, First Tee, and Quick Start Tennis to provide instruction in swimming, bike safety, golf, tennis and more. While gym and recess are very important, physical wellness is bigger than that. Throughout-the-day movement also comes from simple things like students working eye-to-eye on the floor or standing to take a quick “brain break” or heading outside to create a calculus problem on the slope of a hill outside CHS. 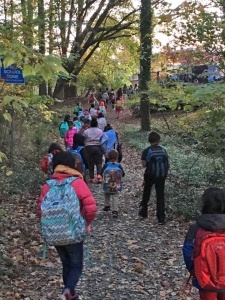 Field trips also get students moving, including fourth-graders’ annual trip to Camp Albemarle. Our year-long “Minds in Motion” partnership with the Richmond Ballet is a jaw-dropping, inspirational display of the mind-body connection. Clubs and special events also support physical health, such as the family color run sponsored by the Burnley-Moran PTO, Clark School’s Buzz-by-Belmont Family 5K, or the Girls on the Run program at our schools. 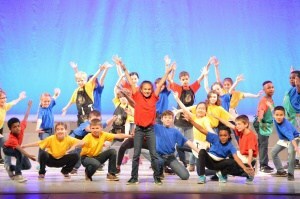 Other active after-school offerings include step club, dance with the Richmond Ballet, and tennis lessons. Athletics is a big part of the movement and physical wellness picture. In 2017, our state qualifiers included boys’ soccer (#2 in VA) and girls’ basketball, plus a number of swimmers and track/field athletes. 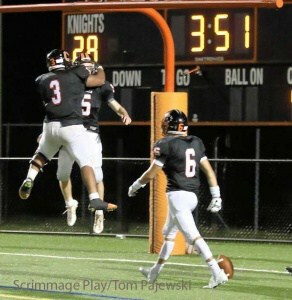 Beyond wins and losses, sports build fitness, relationships, and leadership. 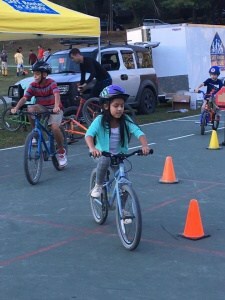 Our neighborhood schools encourage students to walk or ride their bikes assisted by the Safe Routes to School program. 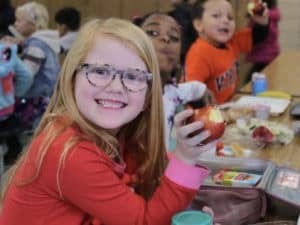 Charlottesville City Schools’ commitment to social, emotional, and physical wellness is guided by our wellness policy (JHCF) and regulations (JHCF-R). We also convene the School Health Advisory Board to consider these issues and make recommendations. A Wellness Policy Brochure communicating these goals is distributed to all households.